The Bansko gondola lift is opening Saturday 30th November. Recent snow falls and the coming student weekends mean that the gondola lift will be open to take us up to Banderishka Poliana. This does not necessarily mean that other lifts will be open. We’ll have to wait and see for that. There will be more snow on Monday, so there will be some nice early season skiing to be had here. But whatever, I’ll be taking a ride up for some views and cool fresh clear air. Read more on this, click here. I like this time of year, the first snow and an anticipation of the coming season. I am always pretty excited as my mind wanders to those fine ski memories oy previous seasons. The sun shining on glistening crystals of fine fresh snow. The silence. However, reality kick in. And now is the time taking the ski and snowboard hire, lessons, lift passes and transfers orders. It’s always a great deal here and, after some feedback from last season, I’ve opened up an interactive chat feature here. Take a look to the bottom right of your screen. You answer the question and we, that means usually me, answer it the best we/I can. This is Bulgaria, it’s a very safe country for a visitor. But I recognise it is still different and new to many. Now organising your own tailored trip has never been easier. In a world of online forms, I think nothing beats real help when you need it. This chat system fulfils this need. Ask us anything not just questions relating to ski hire. lessons, lift passes and transfers. Your feedback on this new service has been overwhelming. So I am continuing offering a live chat service for as many hours as possible during during the daytime and early evening. 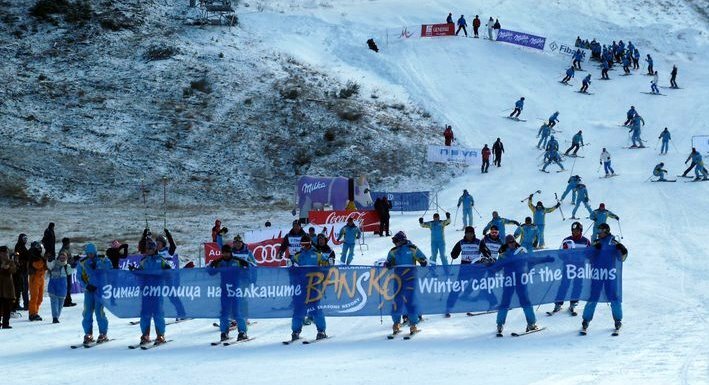 This means that researching and booking your Bansko ski trip can be arranged whilst at work — in your lunch break, of course! I’ve been there whilst others are talking about Christmas plans and going out shopping, I’ve been surreptitiously sorting out our annual lads ski trip. But making a call to be sure about stuff was a challenge in an open plan office. Let me know what you think, comment below — or chat now. Subscribe to Bansko Blog. No spam guaranteed. Free tips and snow alerts. Save on ski and snowboard hire, lessons, lift passes and transfers. Prices and booking. r there any predictions about which runs will be open between 22-28/12? They are looking to open up more in the next few days as the cannon builds up the base. The strong winds blew snow away a little. These have died down now. More snow tomorrow and Wednesday.